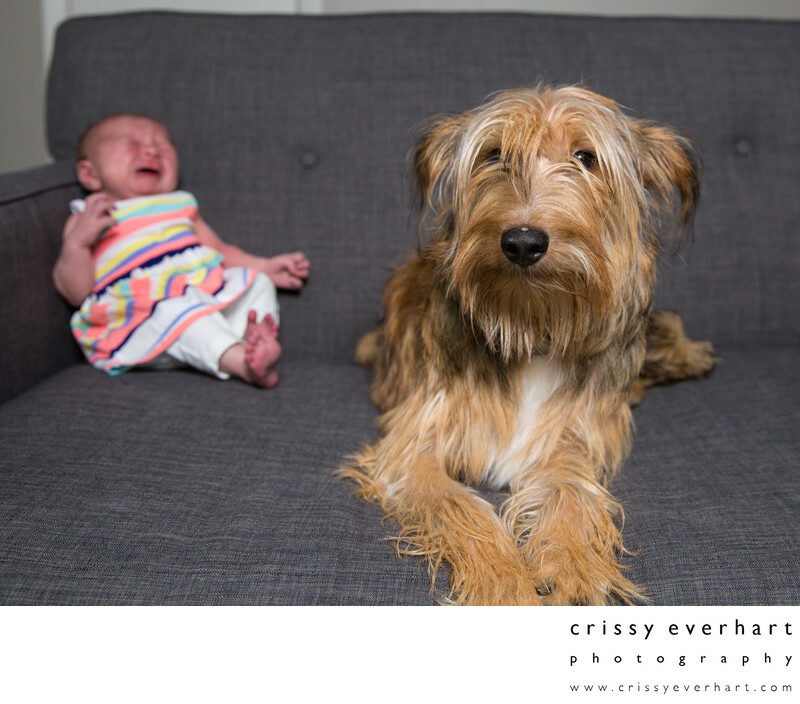 Franklin the pup isn't sure what to make of this new crying baby that just appeared. This photo session was for the newborn girl, but at the end of the session her parents laid her on the sofa like this, and Franklin climbed up and posed, but a little unsure of the noise. Good doggie.